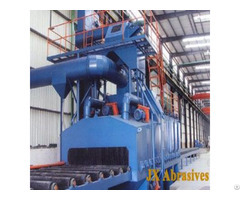 Buy Hanger Shot Blasting Machine from JX Abrasives Manufacturer in China, energy saving, efficiently remove of burrs and scales, increase surface roughness. 1. Removal of mill and forge scale as well as rust. 2. Removal of burrs and scales. 3. Removal of moulding sand. 4. Increase of surface roughness. 5. Shot peening to increase fatigue strength. 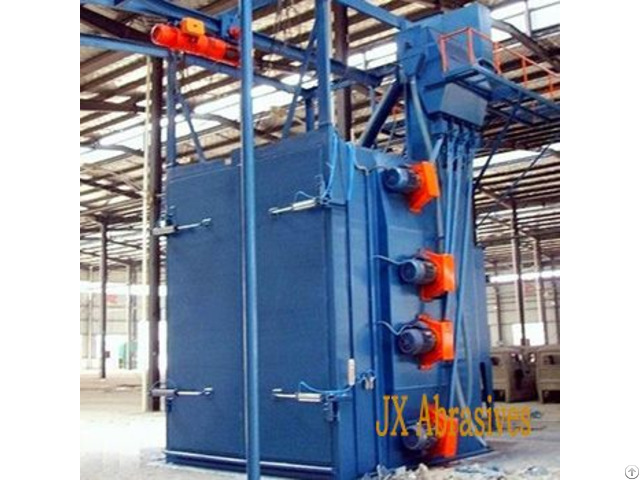 This machine is not a standard machine, any parameters can be customized according clients’ requirements, so any further information please contact with us, our skilled engineer team will give you the most professional and cost-effective solutions. 1. Main Blast Cabinet with inspection Door. 2. Blast Wheel Units with Drive Mechanism. 5. 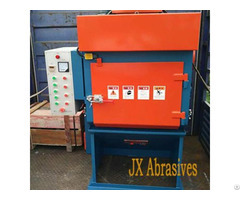 Abrasive Separation/Cleaning system with Storage Hopper. 6. Dust Collector with Cleaning Mechanism. 7. Roller Conveyor system at Inlet & Outlet Side. 8. Control Panel with PLC Control System. 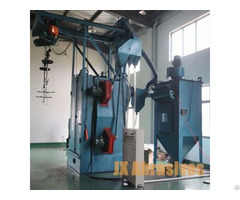 Posted By: JX Shot Blasting Machine Manufacturer Co., Ltd.